When the news came in March 2010 that one of the best loved, most admired but also most feared members of the House of Lords, Baroness Park of Monmouth, had died, there was a general mourning and not just in the House but also among the many people who had known, worked with or just sat and talked to Daphne Park over many years. These were people who had known her in the Service, naturally, and in the various sister Services (I recall meeting a Canadian former agent once who sent her all sorts of good wishes from the Mounties), people in various organizations to which she contributed whenever she could, people who had known her in Oxford and people who had met her and been overwhelmed by her knowledge, her history, personality and that impossible to define quality, charm. I blogged about her at the time of her death and her funeral. I tried to convey my affection and admiration for that great lady as well as the laughter that her stories generated (when it was not sheer terror). The fact that she had been an important British agent (not a spy, if you please), rising to the position of Controller/Western Hemisphere before she retired from MI6 (SIS) was also fairly well known, as she had given interviews to a number of carefully chosen journalists and told tales to equally carefully chosen friends and acquaintances. According to Paddy Hayes, Daphne Park's biographer, some people, including her secretary and assistant of many years’ standing, regarded this with disapproval and there is some doubt as to whose idea all this publicity was. Daphne insisted that when some journalist let the cat out of the bag years after she had retired, senior SIS officers suggested that she should give those interviews; Paddy Hayes thinks it was her idea. Whoever thought of it, the scheme was hugely successful: Baroness Park, the charming elderly lady with her firm and strongly expressed opinions, work in the House of Lords and her undeniable charm was the best possible advertisement for the Service, who could pretend in an oblique sort of way that a number of women had risen to the top or near it, a lie indirect, if ever there was one. Furthermore, Daphne never revealed more than she knew had been agreed on, as one can see from the various articles and interviews: they tend to repeat the same information, much of it reasonably well known with just the added savour of her personal experience, so far as she would talk about it. In private conversations or talks given to private organizations she tended to tell the most wonderful and exciting stories. I was privileged (as I said above) to be one of the recipients. She would swoop down on me when she felt like it in the corridors of the House of Lords where I had disconsolately collected some documents I had to read and write about, and announce that I would probably like a whisky. Of course, I did. Ensconced with a drink she would turn to me and say “I think you might be interested in my stay in Moscow (or Hanoi or DR Congo).” Off went her tales, all carefully shorn of any really secret information, but fascinating nevertheless. The SIS (or MI6) are notoriously secretive about their history though some details do slip out. Paddy Hayes found it quite difficult to unearth really detailed information about Daphne Park’s career. He has instead, unfortunately in my opinion, decided to pad his text with speculations about how Daphne might have felt at certain moments and what she would have had to remember in a new job to prepare for the new environment. There is also a tendency for giving explanations of certain structures and activities by saying “in modern terms it means …”. This is a regrettable tendency in a number of history books that aim at the popular market. Surely even said popular market would produce readers who can cope with concepts without being told that “in modern terms that would be image management” or some such nonsense. 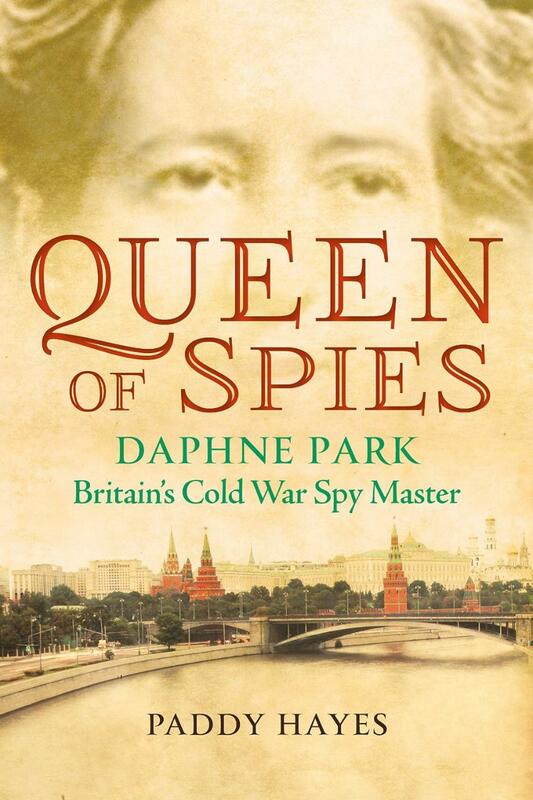 Daphne Park’s life story from her childhood in Tanganyika through her education in England, service in the SOE during the war (together with all the problems she had because of her stubbornness) and subsequent career in SIS where she seems to have served in some of the most difficult and interesting places, is of such interest that even a dull writer cannot make it otherwise and Paddy Hayes is far from being a dull writer. The book bowls along despite the clichés and the padding. Nevertheless, with the difficulty of information gathering and reliance on personal memories, often internally censored, unanswered questions abound. Did Daphne go down to Odessa and Sevastopol to find out whether the Soviets were planning to intervene in the Suez crisis? She said yes and a number of historians have repeated that, her closest colleague of the time says no. Did she run agents in Hanoi and if so, how on earth did she manage it? No evidence seems available. What on earth was she doing in Ulan Bator? Was Marine Captain Douglas de Witt Bazata really the great love of her life? Hayes asserts this several times but produces no evidence, not even gossip. To what extent was she personally involved in the civil war that erupted in the Congo after independence and in the gruesome arrest and murder of Patrice Lumumba? Some of the answers to the last one could have been discovered through the American Freedom of Information Act but Hayes decided not to go down that path. The story he recounts is not substantially different from the one I read in my childhood in Soviet and East European newspapers. Daphne was also involved in the negotiations with Rhodesia’s Ian Smith after UDI that led to the establishment of Zimbabwe. I am not sure she did not regret her role in it though it had grown out of her friendship with a number of East African leaders, as she fought ferociously in the House of Lords to help Zimbabwean dissidents, oppositionists to Robert Mugabe’s bloody rule and refugees. 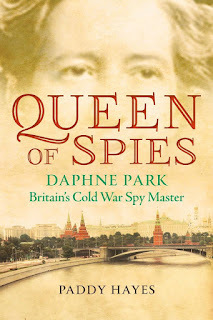 Queen of Spies is the first biography of Baroness Park but one hopes not the last. 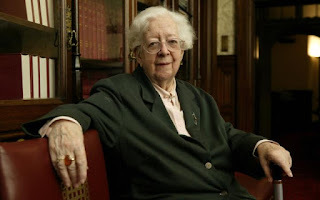 It goes a little way beyond her retirement from SIS, telling the not altogether successful tale of her time as Principal of Somerville College and the more successful time as a Governor of the BBC. Then there is a rapid gallop through her various other achievements in the post-SIS years but not nearly enough about her time as Conservative peer with strong opinions in the House of Lords, which she loved, where she worked very hard, and where she was much loved by colleagues and staff alike. The book would have become of unwieldy length if all this had been added in detail but let us hope that one day someone will continue Paddy Hayes’s excellent work and build on the foundation he has laid.